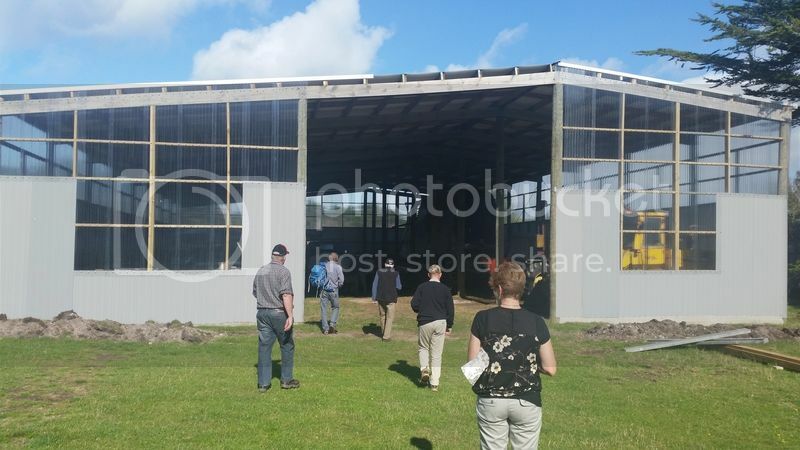 I have been taking tours to the Chatham Islands and have watched with great interest at long last the recent huge shed that has been erected over both the Sunderland and the Friendship. I have included some photos that you might like to use on the page. When I took them I had forgotten about the page. I’ll be back in a few months and I’ll get some better ones. That is an incredible effort to even get a shed/roof for both these types in such isolated place, that is just Brilliant ! Yes that was a great story that TV3 done. However in reality there is sadness. Last January it was noted that the Friendship had been removed from the security of the big new shed and is back outside in a very dismantled state. I was simply told, "the birds were nesting in it and it was becoming a fire hazard"
I couldn't understand the answer, because it was a new shed with huge doors that weren't closed. However the whole project has been very expensive and "Nothing is easy on the Island". Our tours will be back in a few weeks, so we hope to bring you all up to date. Well done Merv, I really enjoyed the TV3 coverage as well, keep pressing on mate! 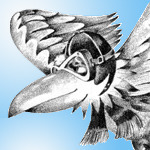 What you are doing is worthwhile, historic Aviation needs more people like you! why they sent that friendship there ill never know, look at the state of it. 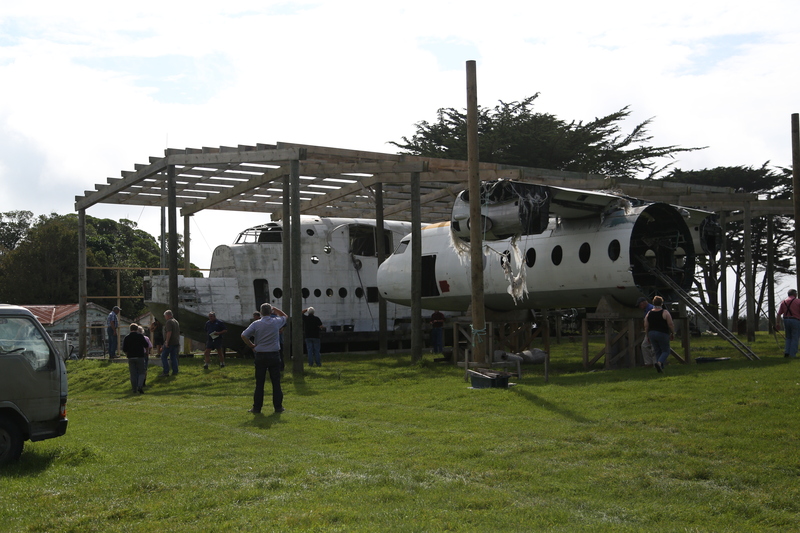 I actually visited the farm and the aircraft (and the seal colony to the north of the property) last month. I saw the Friendship in bits scattered over the paddock. 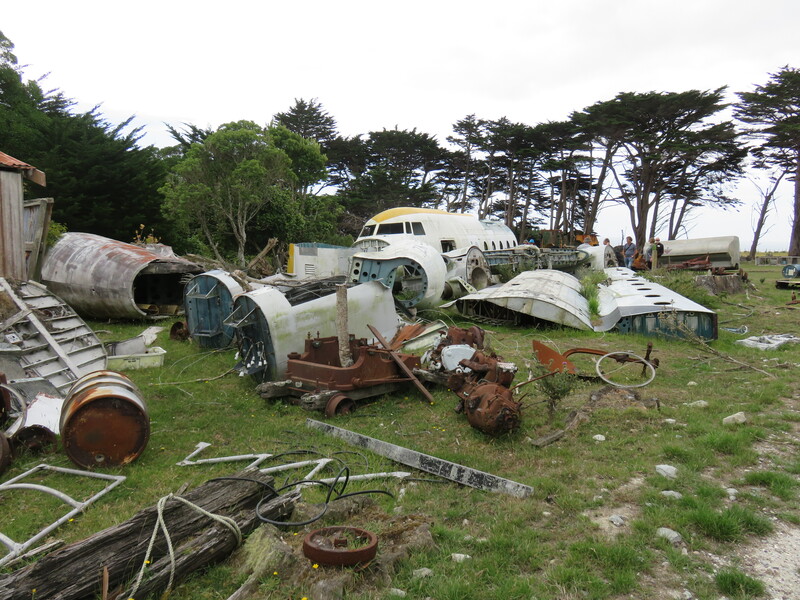 Talking to the landowner, the guy behind the idea of the aviation museum (a pilot with Air Chathams), has moved on and no longer lives on the islands. Sad to say it looks like the original intentions with the aircraft are at an end. It seems that the shed has become (to some extent) a place to store farm equipment. I have more photos of the F.27, but this is all I have at hand. Thanks for the photos. 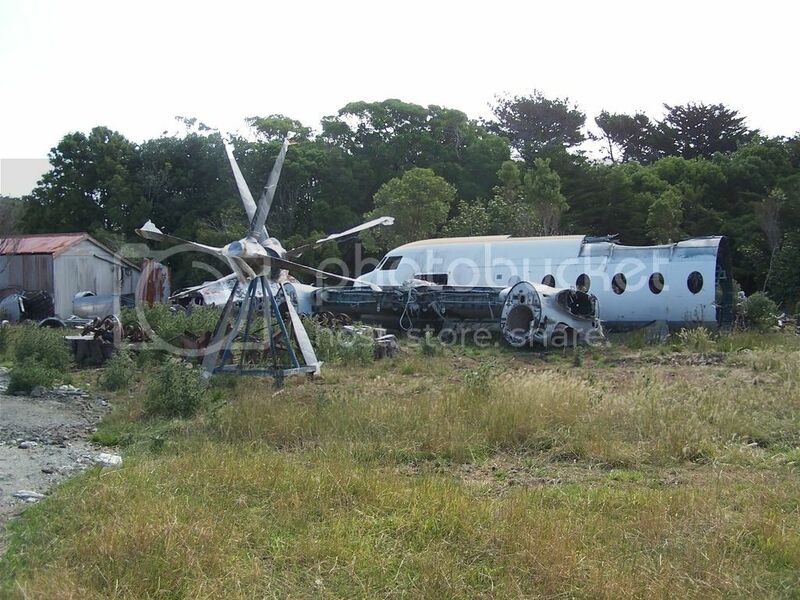 Now we know where those F27 props ended up. I hope they make good use of them! Many aircraft have a bomb bay. Sunderlands have a bomb room, where the crew prepare then run out the bombs. 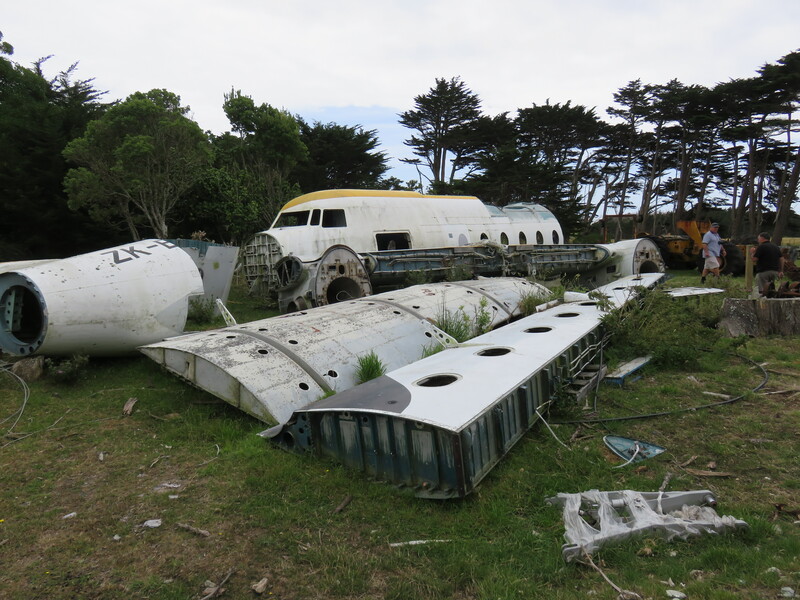 I have just returned from the Chatham Islands and saddened to see the fate of Friendship ZK-BXI. I have never mastered the skill of posting photographs. You may however like to post these on my behalf. ZK-BXI March 2014 depicts the best of intentions whereby a shed is being erected around the Friendship and the Sunderland. Sunderland NZ4111 is in the background. ZK-BXI March 2015 depicts the completed shed with the Friendship now under cover. The Starboard wing was fully attached. The other 4 Jan 2018 photos, show its present position and nobody seems to love it anymore." I knew if I had to ask the question I would not have understood the answer. However I did ask the question. "What has happened here?" The answer was, "The birds were nesting in the fuselage and creating a fire Hazard, so we had to take it out." "Could you not have closed the doors" was my reply. My point being it is a beautiful shed and it would have been 'bird proof' in its construction. Not sure why they favored the Friendship and not the Sunderland. However the shed is now complete with a newly laid concrete floor and other than the Sunderland it is full of day today working agriculture machinery and equipment. There is more to this story I am sure. What a f****** shame to see the F27 scattered around in bits and pieces like that in the open. Sorry for the language, I couldn't help it, but it's just terrible. I can distinctly remember flying in BXI, both with NAC and with Air NZ including on the short-haul hop between Gisborne and Napier, as well as to and from Wellington. Ouch......does that mean the Sunderland is still under cover? Maybe all the money being poured into the 'Bring our Birds' home campaign should take a look at these instead? That is a very sad state of affairs. I too have flown in BXI; Ohakea on RNZAF 50th anniversary celebration. I wonder why it went to the Chathams in the first place. Who ever it was who had that idea should be asked to provide an update on their plans. Given its present condition I think someone should offer parts to Ferrymead to help Denys with his excellent work on BXG. May be Air Chathams can be approached for a deal on transportation. Regarding the Sunderland, I understand all the fuselage parts are kept in a dignified fashion in the hangar. Now I'm not 100% sure so correct if I'm wrong. But I seem to remember reading somewhere, that the person that started with the "restoration" of the Sunderland and the F27 ( a pilot I think?) has left the Island for greener pastures else where? So I guess there is nobody on the Island that is now interested in them? Regarding the Sunderland, I understand all the fuselage parts are kept in a dignified fashion in the hangar. No that is not correct. From my observations, on a regular basis over a period of the last 5 years, the empennage has never been attached to the air-frame. It therefore would never have been attached since it was disassembled in 1959. Nor has it been covered since the accident in 1959. The rear section of the fuselage can clearly be seen to the left in the 2nd last photograph. I could be wrong but from my observations absolutely no restoration has ever taken place to the mainframe which is undercover. In reply to planewriting and TS. 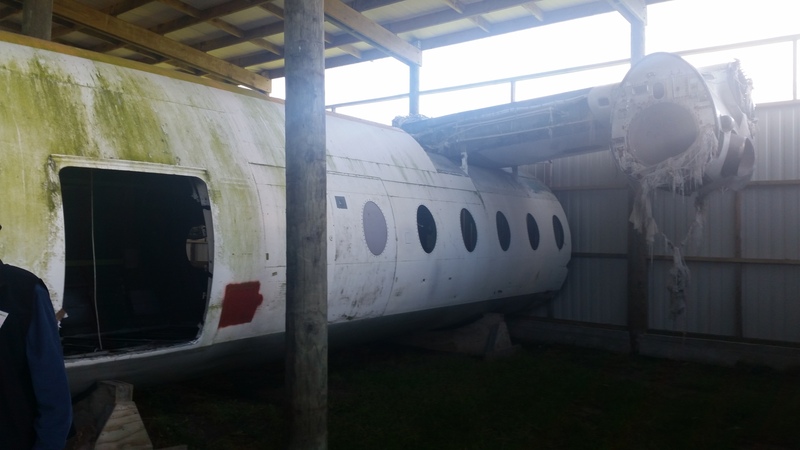 Based on my involvement with this my understanding is that the main mover and shaker for the F27 going there was Gary Downs who at that stage was a Convair driver. 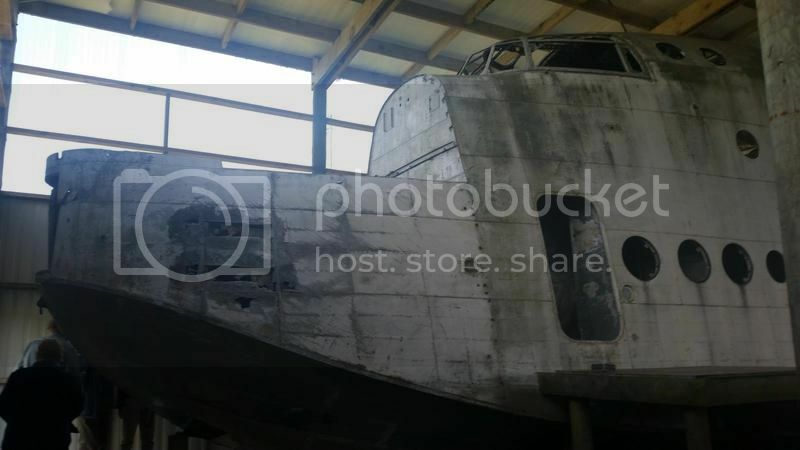 I think but am not sure that he may have motivated the Sunderland into the shed as well and I seem to recall reading somewhere that he was aspiring to getting a third airframe but can't recall the type. 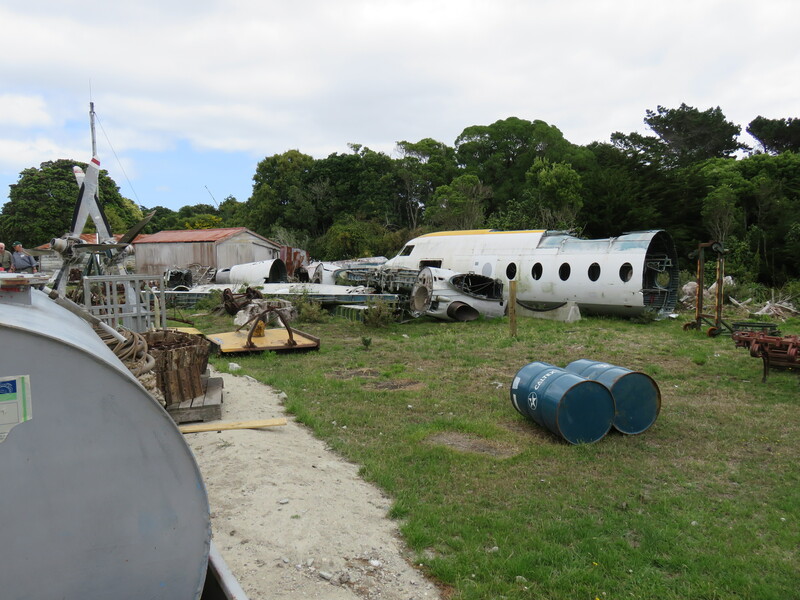 We, Ferrymead, had had discussions with AirNZ Training about bits we needed for BXG and so when they agreed to Gary getting BXI he was directed that certain items were to be set aside for us, these being undercarriage and related items and he and I were to liase over this. Making contact with Gary was hit or miss depending on where he was in his flying schedule. However we eventually got some components but did expect some others and we also had some that we offered to him. But the communication eventually dried up and I subsequently heard that he had left Air Chathams and also the Islands. 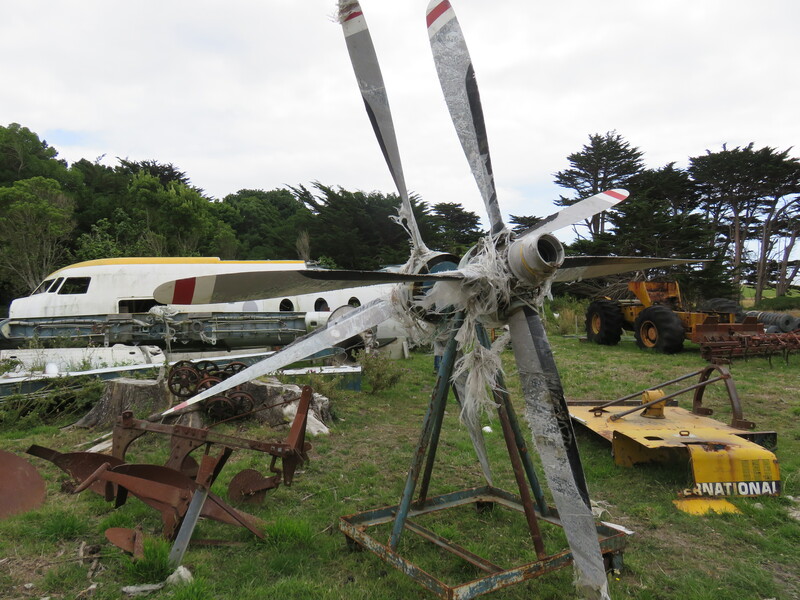 Pursuing the bits we still seek, and which we can tantalisingly see in the various photos I've seen online since, I contacted the Chathams tourist promotion website and asked for a contact at the air museum project. I received an email address and duly wrote to it but no reply was received. We remain very keen to pursue this and worry about the condition of the items sitting outside in the heavy salt environment over there, being cognisant of the effect of outdoor exposure on F27s. We'd be very grateful for any assistance in this matter. Just to put it on record we understand that AirNZ have no sway over this matter as their gift of the aircraft was a no ties basis one.